The DIY homebuilding movement is alive and well, but when it comes to buying a home kit, it’s hard to beat the benefits of a steel frame. That’s exactly what Kodiak Steel Homes offers. 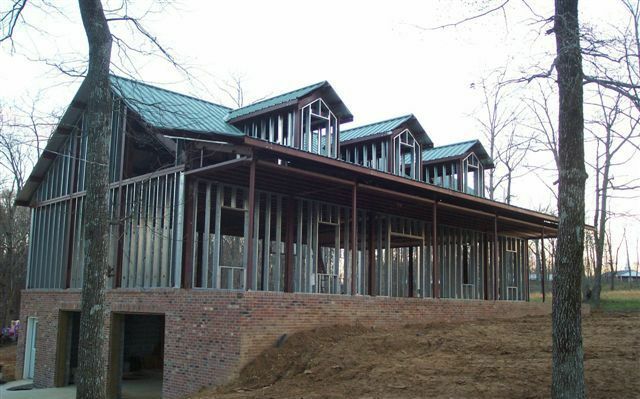 With a variety of home plans to choose from, it’s never been easier or more affordable to build residential steel homes. 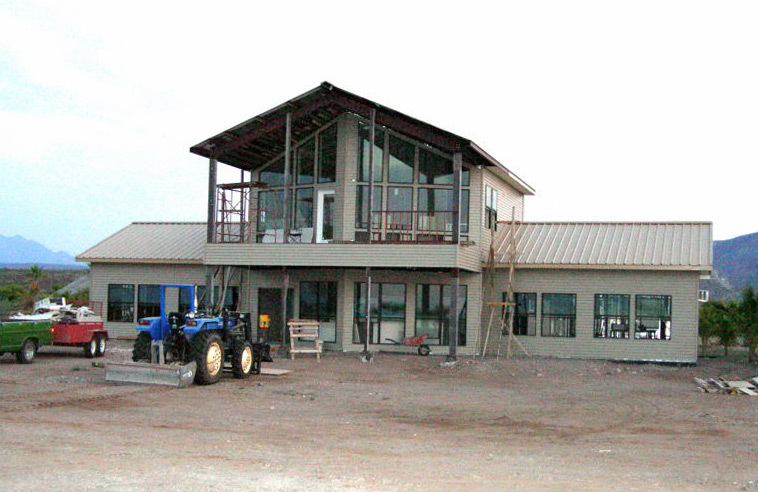 What Makes Kodiak Steel Homes Better Than the Competition? There are plenty of reasons to choose a steel-framed home over a conventional “stick built” home. Conventional homes are built with raw materials, primarily lumber. People have been building homes with wood for thousands of years, and for the most part, this method works pretty well. But wood does have some disadvantages that can cause serious issues in the future. For one thing, wood rots and can develop mold over time. It can also be destroyed by termites. It burns very easily, and in natural disasters, wood-framed homes don’t last too long. Steel, on the other hand, is a solution to all of these problems. 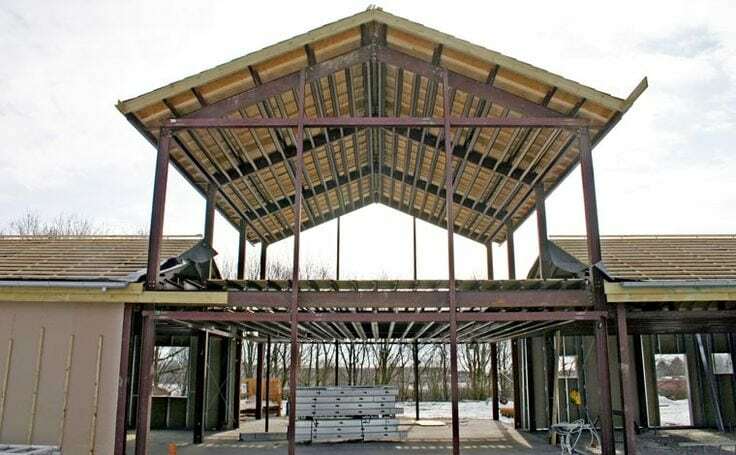 What are the benefits of a steel-framed home? 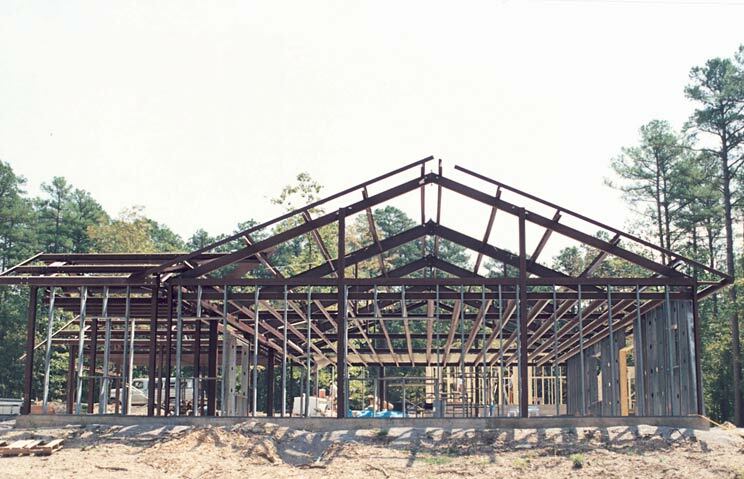 Kodiak uses pre-engineered steel framing in their home kits, which is the strongest material you can get in the residential market. Steel has more elasticity than wood, meaning it can withstand a greater load. It’s also extremely ductile, which means it can absorb more force before it starts deforming and takes much longer to fail than wood. Steel is also fire-resistant, and you never have to worry about mold, termites or rotting. Because maintenance is virtually non-existent, you will spend less on repairs and upkeep in the long run. Most homeowners save thousands of dollars on upkeep over the home’s lifetime. What’s Included in Kodiak’s Best Steel Home Kits? The framing package is the core of each home kit from Kodiak. It serves as your home’s backbone, supporting all other components. Kodiak’s framing package can be used to support a wide range of materials, including shingle roofs and brick walls. If you’ve read other Kodiak Steel Homes reviews, you know just how thorough the kits are. 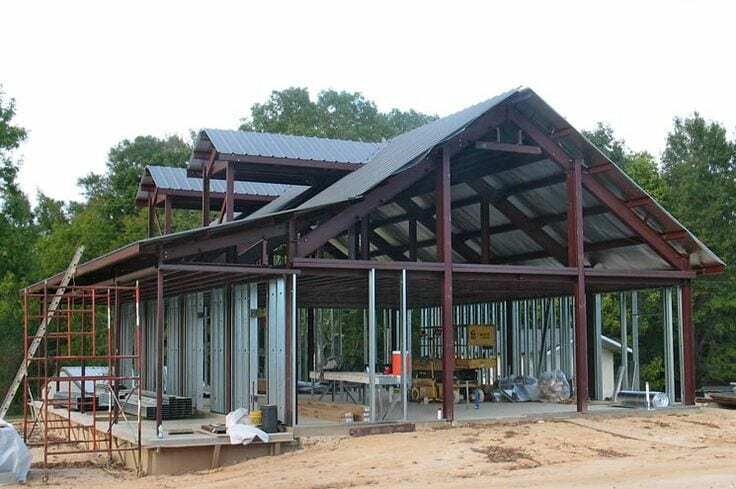 And you also know that the staff at Kodiak is always helpful when it comes to interpreting plans (even with metal barn house plans) and helping customers build the homes they dream of. The most important section of all – pricing. How much can you expect to spend on your Kodiak home? You may be surprised by how affordable these homes are. Let’s take a look at some of the most popular plans and cost estimates to give you a ballpark range. Kodiak’s Augusta models are some of the most popular, and that’s partly because the interior is so open. Inside, you’ll find 37 feet of open space with 10-foot ceilings. There’s also a wrap-around porch that’s 10 feet deep – great for rocking chairs and afternoon iced tea. We requested a quote for the Augusta 1A. Base price for this model: $57,604.29 (includes freight). Does not include roof and exterior walls. 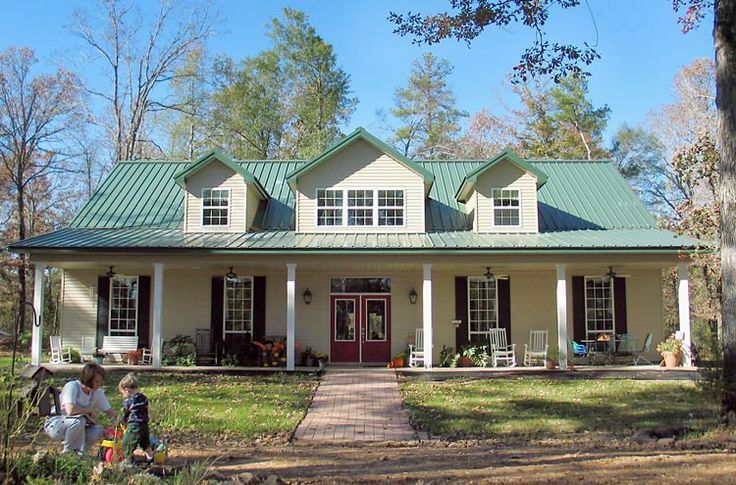 With a welcoming front porch and a multi-pitched roof, the Crestwood offers country charm and plenty of space. We requested a quote for the largest model: 2,932 square feet. Base price for this model: $63,880.77 (includes freight). Does not include roof and exterior walls. A two-story chalet home with a fitting name. With a swept-prow front that opens to an inviting porch below, this home offers fantastic views of the outdoors. And with the large windows and vaulted ceilings, you can take in the view from the comfort of indoors as well. We requested a quote for the largest model: 3,960 square feet. Base price for this model: $105,353.23 (includes freight). Does not include roof and exterior walls. A smart floor plan lets you make the most out of every inch of this home. The floorplan boasts a large living room and a bedroom that’s just the right size. There’s just one model in this category: 630 square feet. Although small in size, this home is ideal for single people, retirees and anyone looking to downsize. Base price for this model: $12,092.99 (includes freight). Does not include roof and exterior walls. A fitting name for this charming home. A full-length, covered colonnaded balcony and porch invites guests. There’s plenty of interior space, too, with an open floorplan on both floors. There’s just one model in this category: 3.072 square feet. Base price for this model: $72,330.19 (includes freight). Does not include roof and exterior walls. All things considered, Kodiak Steel Homes are affordably priced. You’ll save money in the long run on repairs and upkeep. The resistance to fire and elimination of mold, rot and termite issues alone makes it worth the price. And the strong steel frame means that Kodiak’s homes are better able to stand up to natural disasters, like earthquakes and hurricanes. Learn more at KodiakSteelHomes.com.